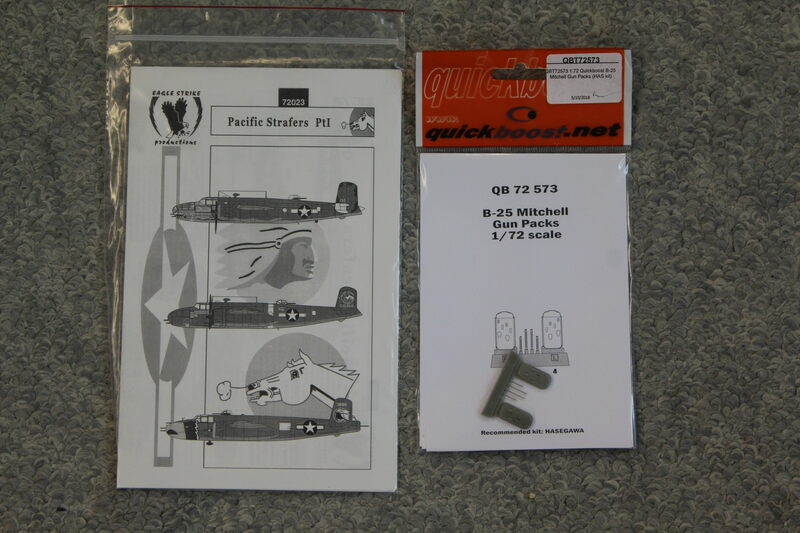 I recently purchased the new Airfix 1/72 B-25 C/D. Looks nice in the box and seems like it may be a good project for a little build here. Maybe I will even finish this one! 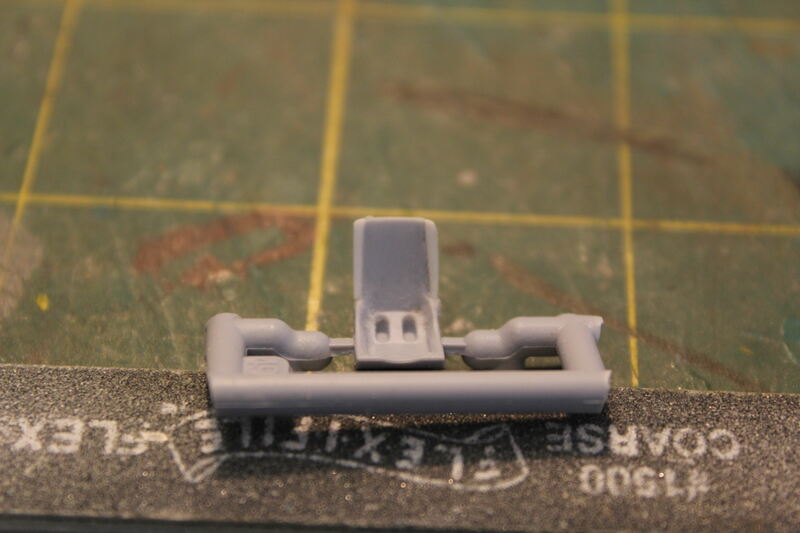 It appears to have parts for a possible B build so keep and eye out for a future release along those lines. 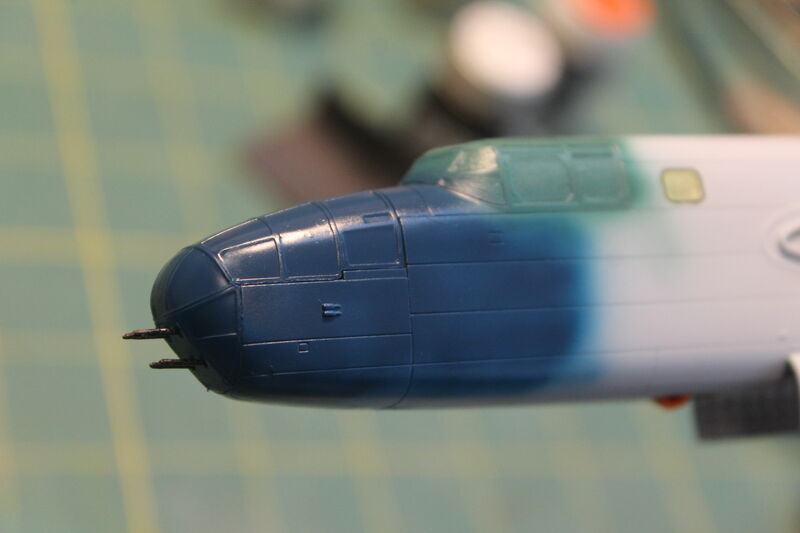 Typical gray, slightly soft Airfix plastic. Some of the interior detailing is a little soft but the waist and navigators areas will never be seen anyway. General shapes look good and the clear pieces are nice and thin. Beats the heck out of the alternative kits. Italeri and Frog? Both with barely there cockpit detailing (thrones and wheels?) Thick raised panel lines? The decals look to be of very good quality but of course I want something different. A strafer from the 345th seems like a good idea and a friend directed me to a sheet from Eagle Strike. "Hell's Belles" is an early D set up with four nose guns, side packs, 30 caliber waist guns and a fifty hanging out the tail. The side packs are from Quickboost. 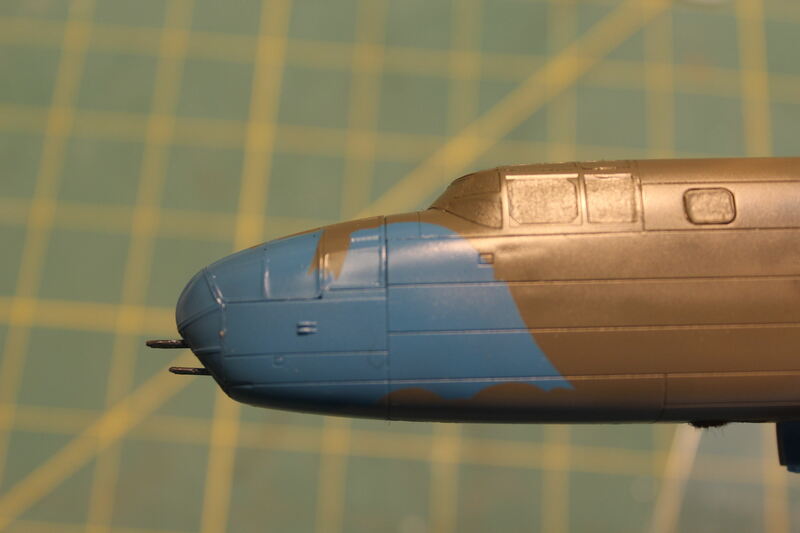 Looks like the most challenging part of this project will be the nose art. I am not going to do much to the interior but I did have to fix the pilots seat. For some reason, Airfix made it too narrow and then tapered it. So I added a couple of "wings" to make it look a bit better. Also added the very prominent armor plate behind the seat, something no kit provides. That always struck me as a bit odd but it's an easy fix. 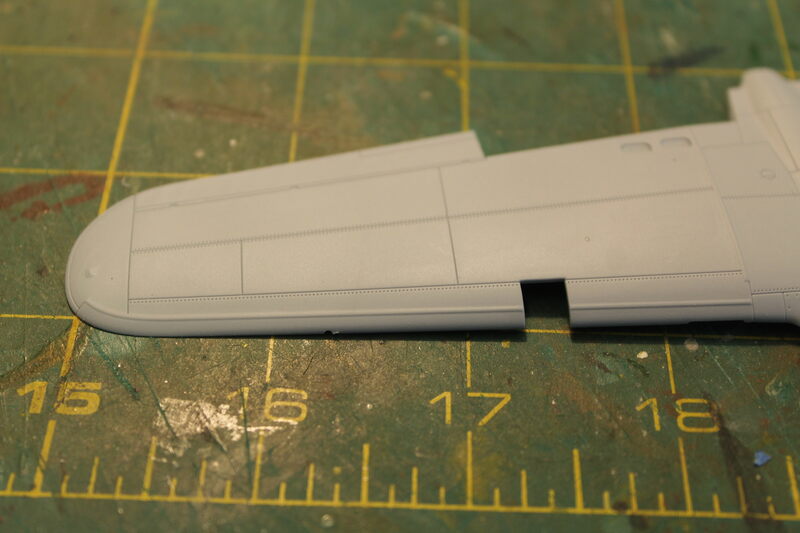 As the clear bits for the waist are nice and thin the structure for the belly turret shows up. So I added a floor over it since that is what was done when the turret was removed. I really meant for this to be a build blog, is there some way I can convert it to such? 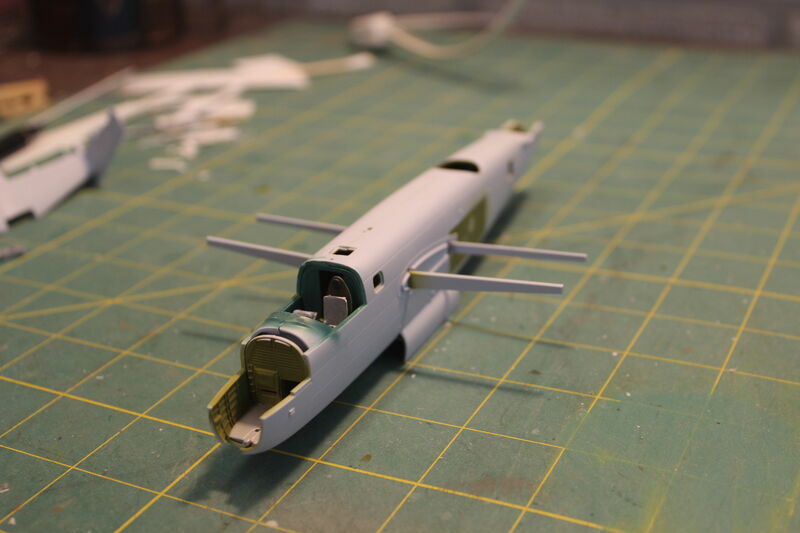 The fuselage went together fairly well. Any seam issues are self inflicted... For some reason, Airfix would have you attach the upper wing to the spars and then add the lower wing. I taped a wing together and tried installing it. Worked okay so I took the big leap and glued it together. You have to finagle the rear spar a bit but really not a problem. Attaching the wings first makes it more difficult to paint the fuselage under the wing and the inner portion of the nacelles or so my reasoning goes . The wings and stabs have a raised rib that is supposed to represent the fairing for the deice boots. Way oversized but as I am doing a Pacific bird I just removed them with a little scraping and sanding. 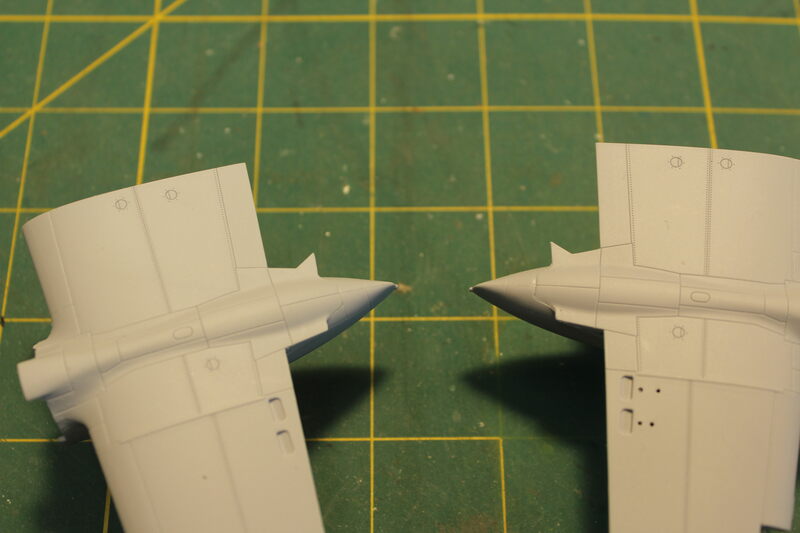 Anyone who has built a B-25 knows that the fit of the rear of the nacelle to the upper aft wing is usually pretty bad. The photo here of that area is as built, no gaps or misalignment, haven't done any filling or anything. Good job Airfix! Karl, for some reason I have missed this blog until now... my bad! I will definitely follow it because I am fire-sure you'll get a superb piece at the end! The second point of interest is the Airfix brand. I think I'm the only one in this community that never built one . I keep buying them but for some foggy reason I never get to actually build one, although I find them very appealing in the box. Gotta thank you for your semi blog build. The Airfix kit has been on my gotta build list since I built a few of their new era kits. Great kits with outstanding engineering and detail. And their decals are more then just "ok", they're the equal to a lot of the AM decals out there. Your build to date looks excellent. So I'll be pulling up my chair and following your build to its conclusion. 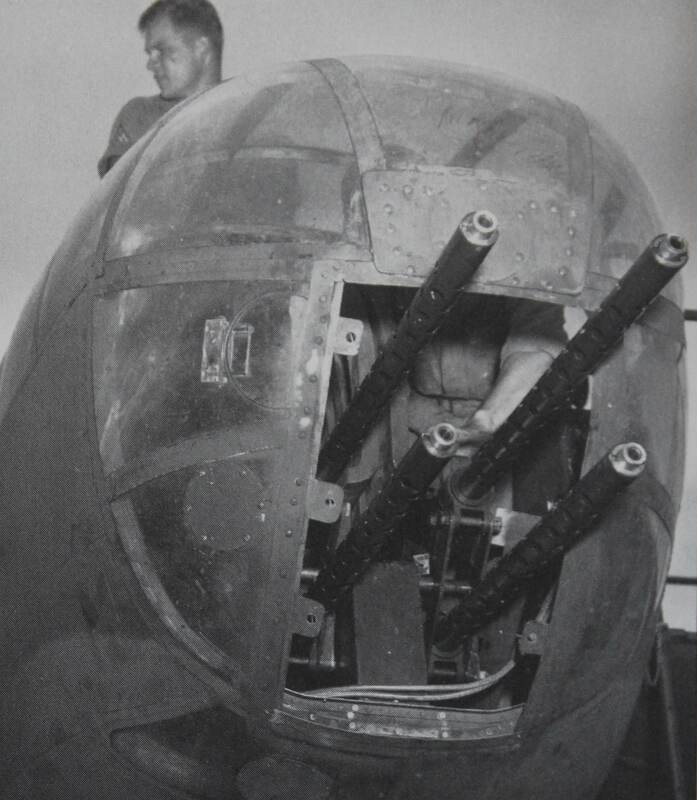 B-25 cowlings are never quite what I would like. 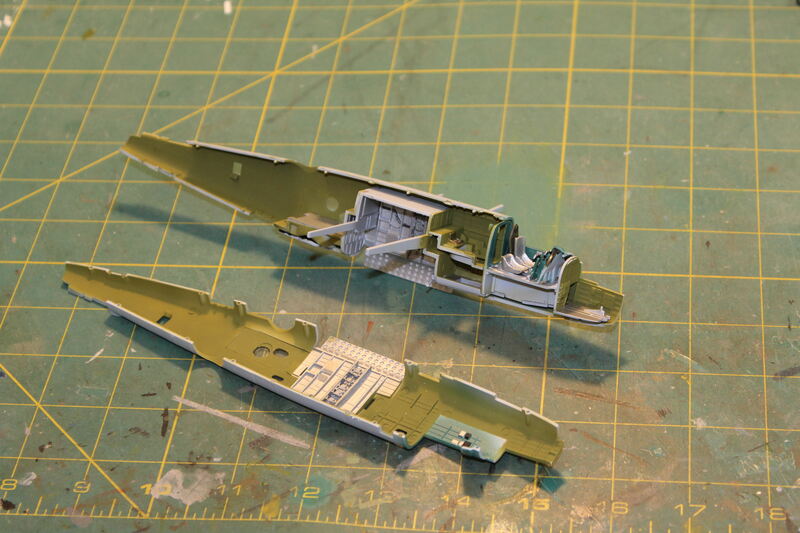 The aft exhaust shrouds are not hollowed out and adding the forward ones is usually a grand adventure. As I started to do this, I was grumping that the cheap SOB's could give you a couple of spares as it wouldn't cost them anything and people invariably launch one to the carpet monster. Lo and behold check out the Airfix instructions and the note at the bottom. Thank you Airfix! 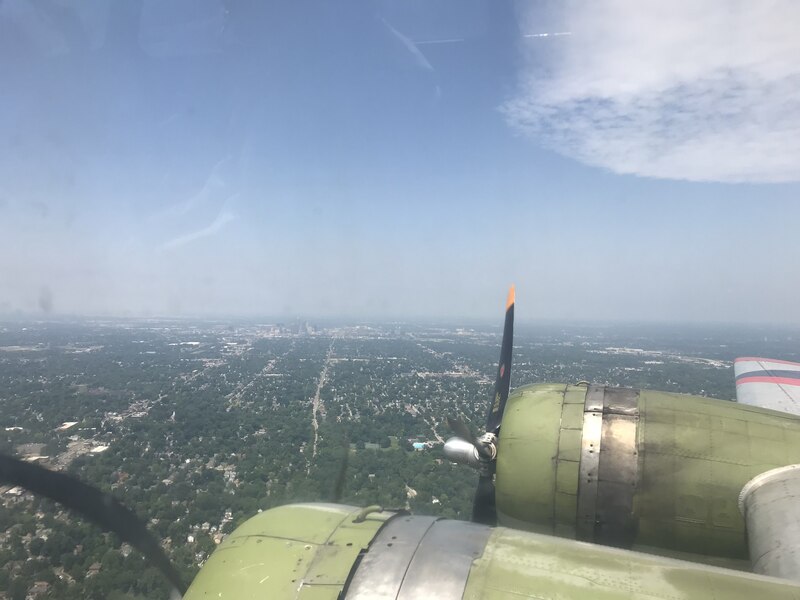 the only time I've ever wanted to go to Indy is for the 500, but I'd take a ride over it any day in a B-17. Gotta hand it to Airfix for the extras. I know only to well how the Carpet Monster just loves those small parts. As long as I was doing things the way Airfix wanted me to, they went fairly smoothly. But now I am deviating from the original and turning it into a strafer. 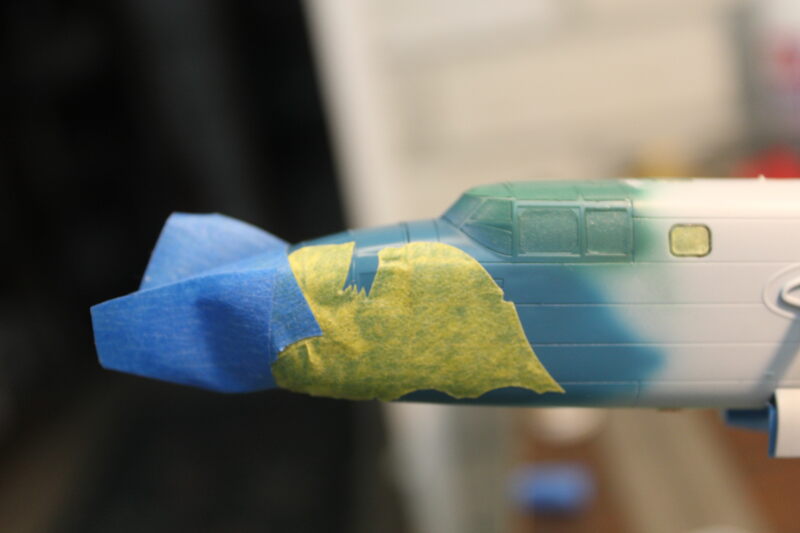 So I have been prepping the fuselage and wings for paint as well as trying to figure out the best way to set up the nose guns. 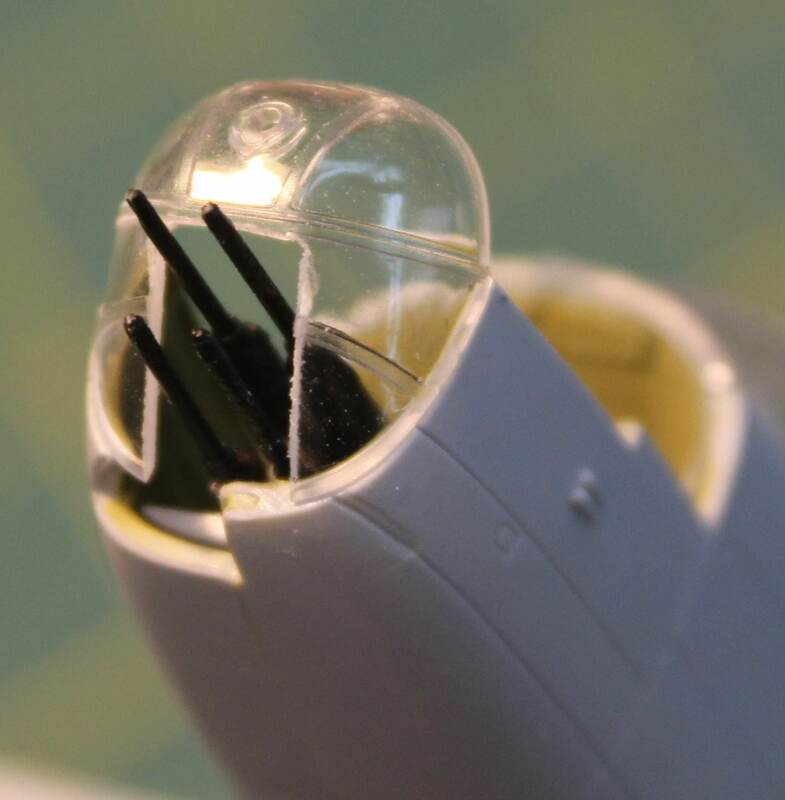 Fortunately, the kit has four extra fifties (the two in the nose and the two for the unused belly turret). Nice start to that nose conversion. To say I'm impressed is putting it mildly. Karl, it's a brave modeller who attempts customized glazing! That's for sure. I don't think I've ever cut open any clear parts. This was a little nerve wracking but I cut the mask and applied it. It seems to have worked. We will see how well the decals meet up. I am sure there will be some cutting and cussing involved but things are going in the right direction. Had a little paint peel off the right side so there will be some touch work there as well. 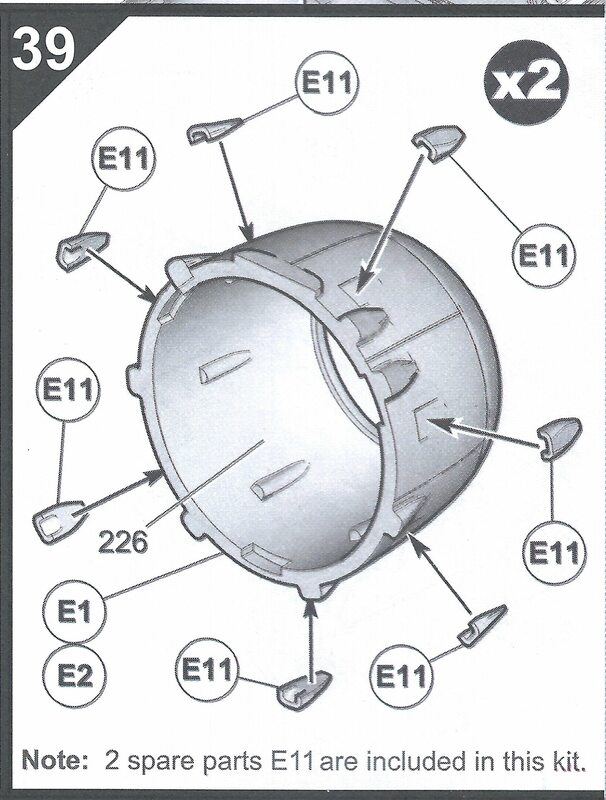 Next thing is to determine the placement of the side packs and mount them. Then she will truly be a strafer! And after comparing to the real thing, mine is a bit too far forward. But I think I will live with it ! That's some great job you did on masking. the start of the Bat realty looks great.